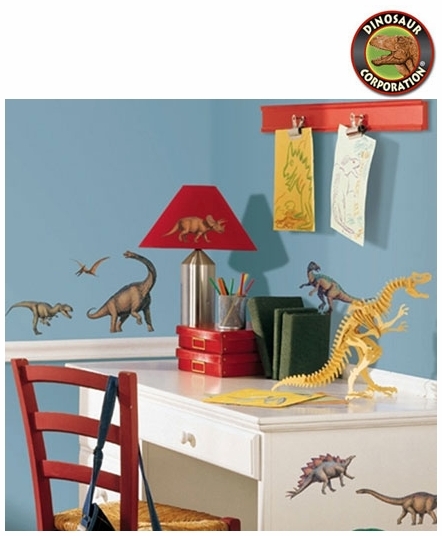 Repositionable dinosaur wall decals are the easiest way to put the finishing touch on your child's dinosaur bedroom theme. To use, just peel each pre-cut element off the sheet and stick it on the wall (or any other flat surface you prefer). A great match to the rest of our dinosaur room decor! * Decals range from" 2" x 4.25" to 14.5" x 4"